Blacksheep's bit of the Web: Happy Thanksgiving!!! Happy Thanksgiving, let the eating begin! Happy Thanksgiving to you Rico and doggies!!!!!!!!! Happy Thanksgiving to you, Edgar! Thankful for you and your fun blog! the same to you and yours edgar, enjoy your holiday! Wishing you, Rico, and the sweet dogs a blessed holiday. Thank you for all of your wonderful, inspiring posts throughout the year. 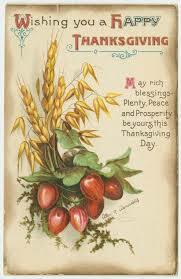 Dearest Edgar, Rico and the Who Hounds: Many Blessings this Thanksgiving day to you all. I hope you, Rico, and the Who Hounds had a wonderful day! Hope you had a wonderful Thanksgiving, Edgar! I hope that you had a wonderful holiday!! !